Balladeer’s Blog presents another examination of an ancient Greek political satire. In this case it is one of those works of Aristophanes which have survived only in very fragmentary condition. 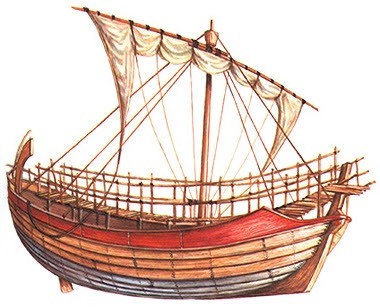 Merchant Ships was written and publicly staged in approximately 424 B.C. to 421 B.C. according to the available data. It was another of Aristophanes’ comedies protesting the pointlessness of the Greek city-states warring among themselves instead of uniting against the encroachments of the Persian Empire. I can’t help but view this particular comedy in light of my own country’s current plight of having the rival criminal gangs called the Democratic and Republican Parties pointlessly rob the country blind and run it into the ground while virtually ignoring external threats. In this comedy the captains of two separate merchant ships – one from Athens and one from their foe Sparta – have grown weary of the pointless conflict and make a separate peace with each other. They and their crew members get to spend the play enjoying the food and drink from their cargoes and living out a metaphorical return to the prosperous days before the Peloponnesian War when peace reigned among the various Greek city-states. For a modern-day adaptation (as opposed to a straight translation) the situation could be depicted by having a Chick Fil-A restaurant right next to a Starbucks coffee shop. 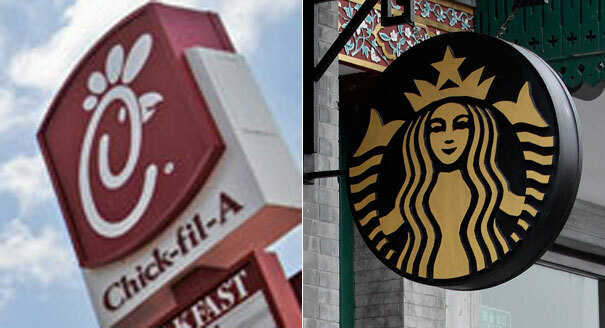 The managers and employees of these stereotypically Republican (Chick Fil-A) and stereotypically Democratic (Starbucks) establishments could grow tired of the political feuding, especially since both political parties often call for boycotts of the opposing business. The managers and employees of the two franchises (in fact Franchises would be an ideal title) would make a truce separate from their home offices. The characters would all thrive and recognize each others’ shared humanity and turn against the two corrupt and self-serving political parties that had them at each others’ throats. They would recognize that they have more in common with each other than they do with the Democratic and Republican party leaders who exploit their voters while feathering their own nests. Here is a quote from an ancient commentary about the comedy Merchant Ships, followed by me paraphrasing it to apply it to America’s current political situation. PARAPHRASE: Everywhere he pleaded his case, ridiculing Obama the demagogue, who treated the rival political party worse than he treated hostile nations like Iran and Russia, and constantly attacking Pelosi the bloated rich pig who pretended to fight for the poor. The ending of Merchant Ships has not survived so unfortunately we do not know how the situation was resolved. And many other such disjointed phrases. © Edward Wozniak and Balladeer’s Blog, 2015. Unauthorized use and/or duplication of this material without express and written permission from this blog’s author and/or owner is strictly prohibited. Excerpts and links may be used, provided that full and clear credit is given to Edward Wozniak and Balladeer’s Blog with appropriate and specific direction to the original content. Awesome! That idea about Starucks and Chick Filet standing in for the ships was genius. Very interesting way to update this play, as Franchises! It works! Very awesome updating of the premise. I think about this comedy every time I drive past a Chick Fil-A or Star Bucks now. Ha! Thank you for letting me know!